The man suspected of fatally shooting Angela Simmons ex-fiance to death has reportedly turned himself into police. According to Atlanta Police, authorities arrested 44-year-old Michael Williams for the murder of Sutton Tennyson, 37, who was found dead from multiple gunshot wounds inside a garage at a southwest Atlanta home Saturday, Nov. 3. 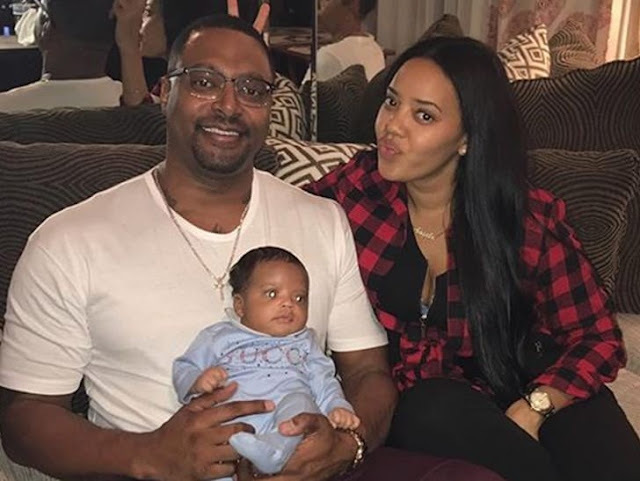 Tennyson was at one point engaged to reality star Angela Simmons who both had a son, Sutton Jr.
Simmons has since taken to social media to expressed her heartbreak at Tennyson's death, writing, "Thank you for leaving behind my greatest gift. I'm hurting. I'm numb. Thank you for the out pouring of love everyone. I cant believe I'm even saying Rest In Peace Sutton. I promise to hold down SJ in every wat I promise." Meanwhile, police transported Williams to the Fulton County Jail with investigation still ongoing.